Concert Lighting: Tools, Techniques, Art, and Business Fourth Edition provides readers with an updated look at how to succeed in the complex world of concert lighting design and technology. The authors have reorganized the book into three comprehensive and thoroughly revised sections, covering history, equipment and technology, and design, and containing new information on LED technology, pixel mapping, projection options, media servers, automated lighting, solutions for moving lights, DMX, and Ethernet problems, and designer communication and collaboration. 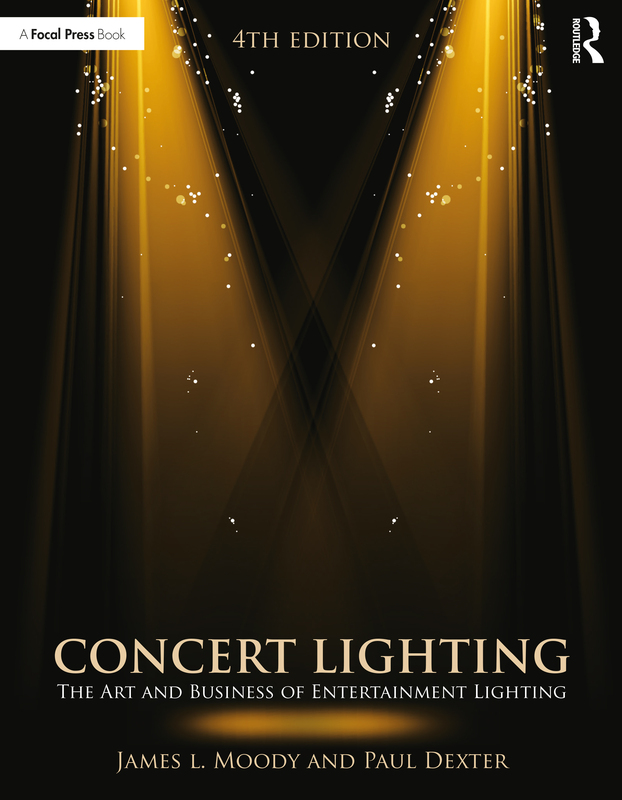 This book also explores the cross-media use of concert lighting techniques in film, video, theatre, and the corporate world, highlighted with advice from master designers such as Bruce Rodgers, Cosmo Wilson, and Sarah Landau. From securing precious contracts to knowing the best equipment to use to design a show, Concert Lighting covers everything a designer needs to know about working in the touring industry. Jim Moody is the Head of the Technical Theatre Program, Technical Director, and Lighting Designer for The Theatre Academy at Los Angeles City College (A Professional Conservatory Program). Considered one of the founders of concert lighting he received the first Concert Lighting Designer of the Year Award from Performance magazine in 1980. Active also in television, his work has been recognized with two Emmy nominations and one team award. Paul Dexter has been the lighting and set designer for such concerts and concert tours as Rick James, Motley Crue, DIO, Ozzy Osbourne, and Elton John, Paul McCartney, and Rod Stewart. Paul is president of his own design firm, Masterworks Design, Inc. His recent activities include touring the world with REO Speedwagon as production and lighting designer, production designer for Heaven & Hell and architectural lighting designer for Activision Motion Capture Studios.